They leased them, and dealership companies kept track! Over the course of 2017, hundreds and thousands of cars have been leased. If you are interested in leasing or transferring your lease, take a look at some of the top picks below in sedans, SUVs, and trucks. If you are looking to change up your ride and want the best deal out there, head over to Swapalease.com and check out all the of great lease vehicles they have to offer. Swapalease.com is an online marketplace that allows drivers to list their current lease and helps match them with buyers looking to take over the remainder of that lease. For more information on finding the best car lease deals or to learn how you can have a successful car lease trade, visit Swapalease.com or contact them at 866-SWAPNOW. Critics have been keeping their eyes on luxury cars and they have their top picks for the year! The list is quite long so here is a sneak peek at four luxury cars and their quick specs that just might persuade you to have one for yourself! Interested in having a luxury car of your own but worried about the cost? No worries! Did you know Swapalease holds a large selection of luxury makes just as you saw above!? It’s that time of year again, college graduation. Many upcoming graduates will begin their transition from student life to the real world, starting new jobs and moving into their first homes. They are also switching out their pre-grad cars into newer cars that represent their upcoming post-grad independence into life. Take a look at the top cars grads are getting rid of and the top cars they are getting after they graduate, according to transfer trends on Swapalease.com, the online lease marketplace that allows consumers to upgrade their car while staying within their budget. Most lease transfers stay within Ohio. Toyota is the most popular car brand within Columbus. The most popular vehicle in Phoenix is the Chevy Camaro. Most lease transfers from Miami go to New York. When you have a long commute to work every day and you find you are stopping by the gas station way too much, you may be thinking about trading your car to one that will save you gas and money. Take a look at what made the cut as a fuel-efficient vehicle for 2017. 2017 Hyundai Veloster: Starting at $19,200, this 3-door compact hatchback has 33 mpg on the highway and 28 mpg in the city. Carries a trunk space of 15.5ft³ and a cargo capacity of 34.7ft³ with rearmost seats folded. 2017 Toyota Prius Two: Starting at $26,675, this 5-passenger wagon has 39 mpg on the highway and 43 mpg in the city. Carries a trunk space of and 34.3ft³ and 67.3ft³ cargo capacity with rearmost seats folded. 2017 Chevrolet Malibu Hybrid: Starting at $27,875, this 5-passenger mid-size sedan has 43 mpg on the highway and 49 mpg in the city and carries a trunk space of 15.8 ft³. 2017 Honda CR-V: Starting at $24,045, this 5-passenger SUV has 32 mpg on the highway and 26 mpg in the city. Carries a trunk space of 39.2ft³ and cargo capacity of 75.8ft³ with rearmost seats folded. 2017 Lexus NX 300h Hybrid: Starting at $39,720, this 5-passenger SUV has 30 mpg on the highway and 33 mpg in the city. Carries a trunk space of 16.8ft³ and cargo capacity of 53.7ft³ with rearmost seats folded. 2017 Kia Niro FE: Starting at $22,890, this 5-passenger SUV has 49 mpg on the highway and 52 mpg in the city. Carries a trunk space of 19.4ft³ and cargo capacity of 54.5ft³ with rearmost seats folded. If you are looking for one of these cars that saves you gas and money or want to see a larger collection of more fuel-efficient cars, check out our options on Swapalease.com! After college, the world is officially yours. It’s time to create an independent life for yourself and it usually starts off with getting a car to call yours. But of the thousands of cars and options out there, and the thought of “what can I afford?”. When shopping for a car, the majority of graduates can’t wait to see the latest and greatest for the year. Sometimes they run into the case of seeing the greatest but it happens to be an older model or a used model. Newer cars have the upgrades and technology these grads are interested in, but so do used or older models. Also, test driving a new model versus and older or used model can end up surprising the grad in how similar the ride is. A used car also does tend to cost less and depreciates less over time. So you have figured out whether to purchase a new or used car. The next step is to either lease it or buy it. Off the bat, leasing a car only works for new cars only unless you can find a specialty dealership which allows leasing of a used car. When you lease a car, you only pay for the value of the car in the time frame you will have it, not the total value. There are also security deposits and fees that you wouldn’t see so much if buying a car. Leasing, however, does give you the option of driving a new car every few years. Then you have the option of buying a car, not leasing. When you buy a car, you pay for the entire value of the car with other fees and you can either pay it cash or finance it with an auto loan. You will find those monthly loan payments are always higher in a car you bought than in a leased car. Buying a car means you plan on having this car for a while, over 5 years give or take. Buying a car can be stressful and time-consuming. Luckily, Swapalease.com here to make it easier. 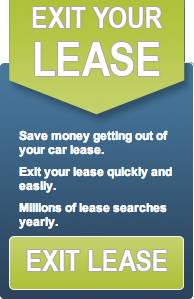 It is the largest online lease transfer marketplace. For more information on finding the best car lease deals or to learn how you can have a successful car lease trade, visit Swapalease.com or contact them at 866-SWAPNOW.